The Media Institute of Southern Africa (MISA) Zimbabwe has filed an urgent chamber application to the High Court in Harare challenging the constitution of the Zimbabwe Electoral Commission (ZEC) led Media Monitoring Committee. MISA Zimbabwe cited in a statement that it was within ZEC’s mandate to monitor elections but the electoral body did not have neither the resources nor the capacity to monitor this election’s media coverage. “In terms of section 160K of the Electoral Act, the Zimbabwe Electoral Commission (ZEC), has a mandate to monitor media coverage during the electoral period. It is MISA Zimbabwe’s submission that ZEC does not have the resources or the capacity to effectively monitor media during this year’s elections. This incapacity is because ZEC is grossly underfunded and lacks the technical capacity to monitor media coverage,” reads the statement. MISA Zimbabwe also highlighted that the bodies which ZEC had been mandated to work with namely the Zimbabwe Media Commission (ZMC) and the Broadcasting Authority of Zimbabwe (BAZ) were unable to fulfil their obligation. 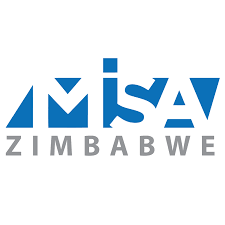 “In light of the above MISA Zimbabwe seeks an order that will compel ZEC to institute processes that lead to the proper constitution of the Media Monitoring Committee,” continues the statement. MISA Zimbabwe also stipulated that ZEC should collaborate with other civic organisations to effect media monitoring.